Σ beam asymmetries for π+ photoproduction on the proton have been measured in the energy range 550–1100 MeV over a wide angular range. 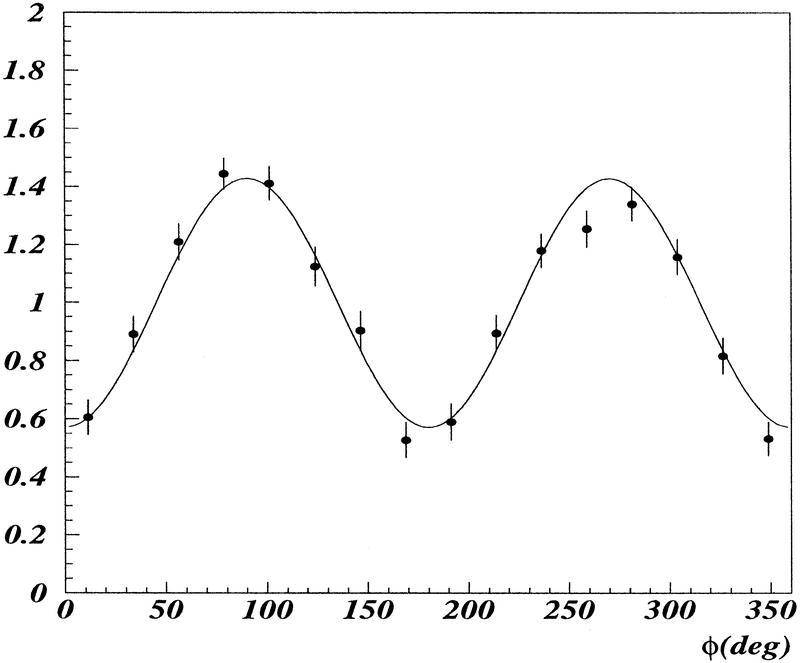 The statistical and systematic errors of the data are much lower than in previous measurements, due to the high polarization of the photon beam and the cylindrical geometry of the 4π detector. Our results confirm the predictions WI98 and SM95 of the VPI partial-wave analysis at the energies below 850 MeV and at 1050 MeV while, between these two regions, they differ at backward angles. It may indicate the smaller contribution of S11(1650) resonance, than it was quoted previously by the VPI and PDG groups. A newly developed unitary isobar model reproduces our data up to 950 MeV.